Above all Horne Land and Helnæs Bay offers great sea trout fishing. Explore the possibilities from the shore, in a boat, or try one of our new Hobie kayaks – the ultimate fishing kayak! Perfect for the calm water in Helnæs Bay (Helnæsbugten). Get up close with the fish, hands free for casting, in one of our silent, highly maneuverable Hobie-fishing kayaks. The ultimate kayak for seatrout fishing around Funen. 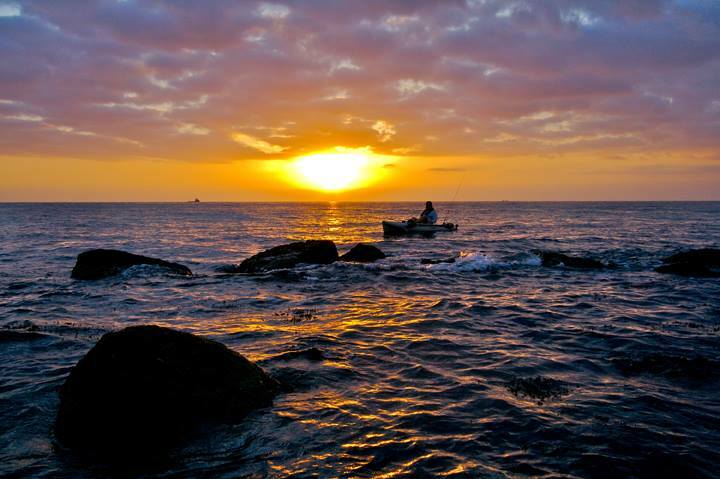 Helnæs Bay is the perfect area for kayak fishing, and from the Bønnelundgård you have direct access to the fun. 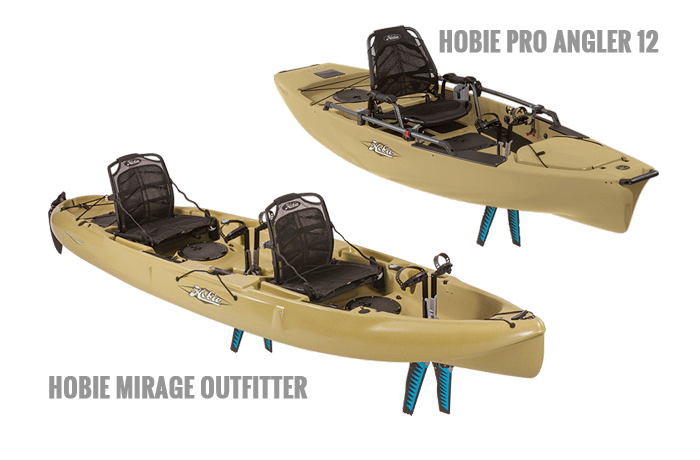 We rent Hobie Pro Angler and Hobie Mirage Outfitter fishing kayaks. 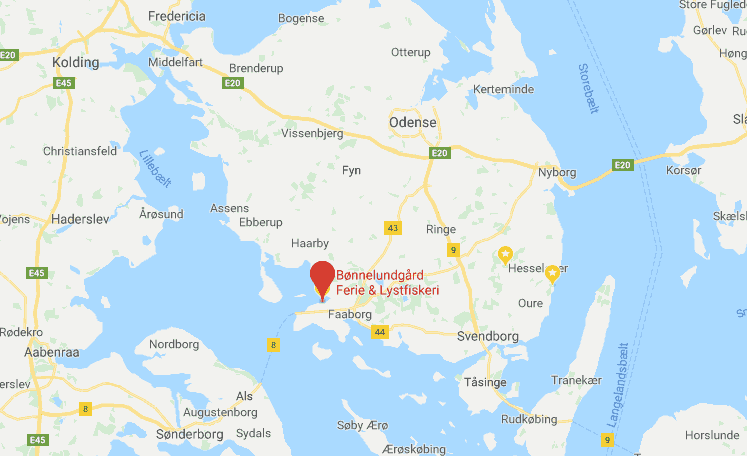 You will find a great many fishing possibilities around Horneland and Helnæs Bay – and it is not just seatrout that attract anglers from all over Europe, to Helnæs Bay. Besides sea trout, you will find cod, plaice and flounder below the surface og these awesome waters. Do you want to fish deeper water, we also rent motorboats. 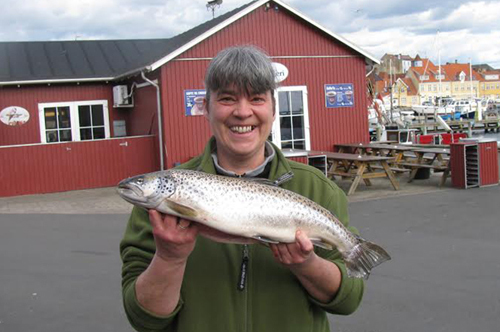 Jutta Kock with a 1.645 kg sea trout – Premium Fish caught from shore directly by Bønnelundgård. 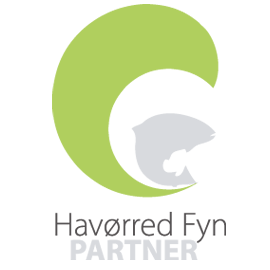 Bønnelundgård is certified Seatrout Fyn Partner – you might find just the right fishing spot on their website.